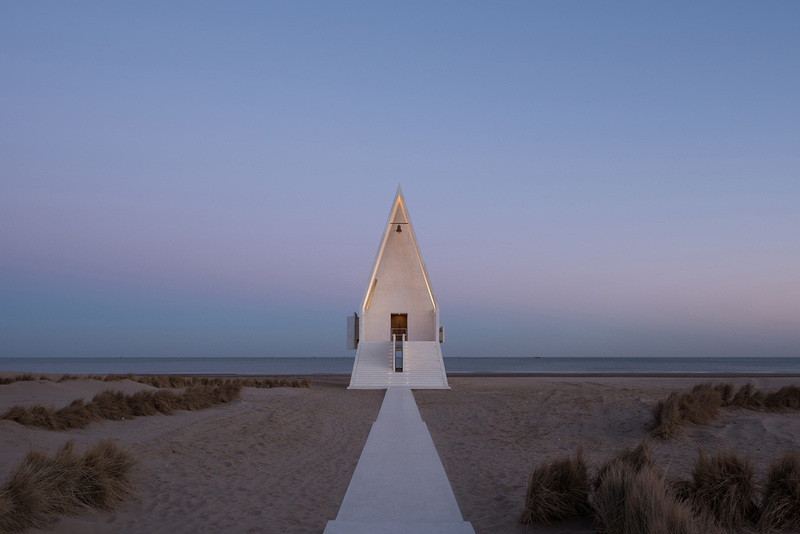 Vector Architects has built a little white chapel on a Chinese beach, but raised it up above the sands so that seawater can wash underneath. 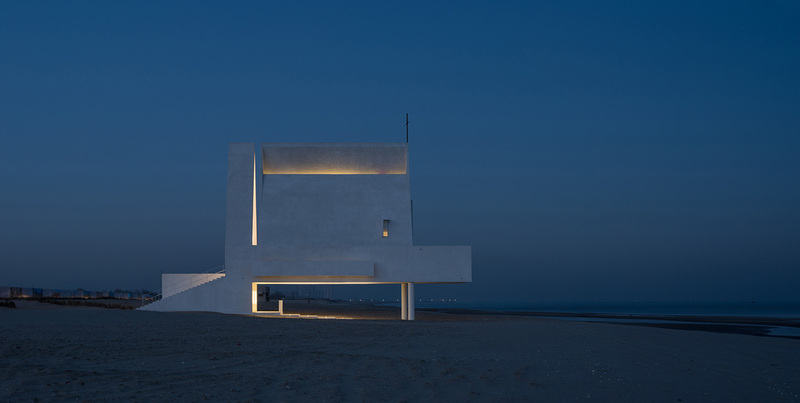 Named Seashore Chapel, the sculptural building provides a small place of worship for Beidaihe, a seaside town east of Beijing. It is the closest building to the sea anywhere in the town, as Vector Architects wanted to create a more spiritual experience for visitors. But this proximity to the shoreline meant it had to be raised up on concrete columns. 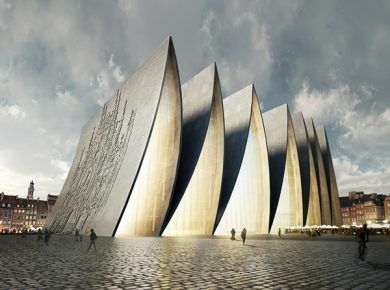 The building features a steeply pitched roof, concealed stained-glass windows and a generous balcony facing the ocean. Its entrance is a grand staircase, which doubles up as an informal seating area. A 30-metre-long pathway leads to this entrance, while the roof canopy overhead functions as a bell tower. 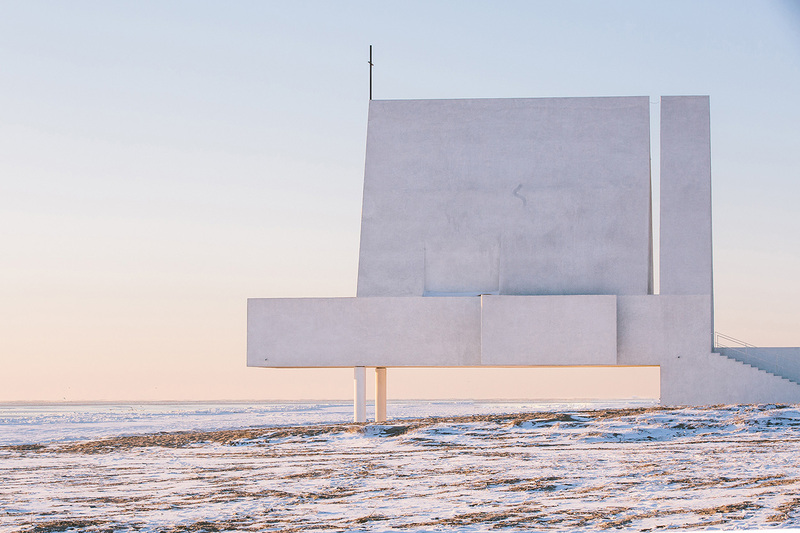 The little white wedding chapel is coated in white stucco, giving it a textured finish both inside and outside. At certain times of the day, daylight filtering in through concealed openings in the roof creates distinct beams of colour across the interior surfaces. At other times, it illuminates a cross nestled into a wall recess. Bamboo floorboards offer some warmth to the otherwise monotone surfaces, and are complemented by wooden benches. The flooring continues out onto the balcony, which is located behind a large window wall. 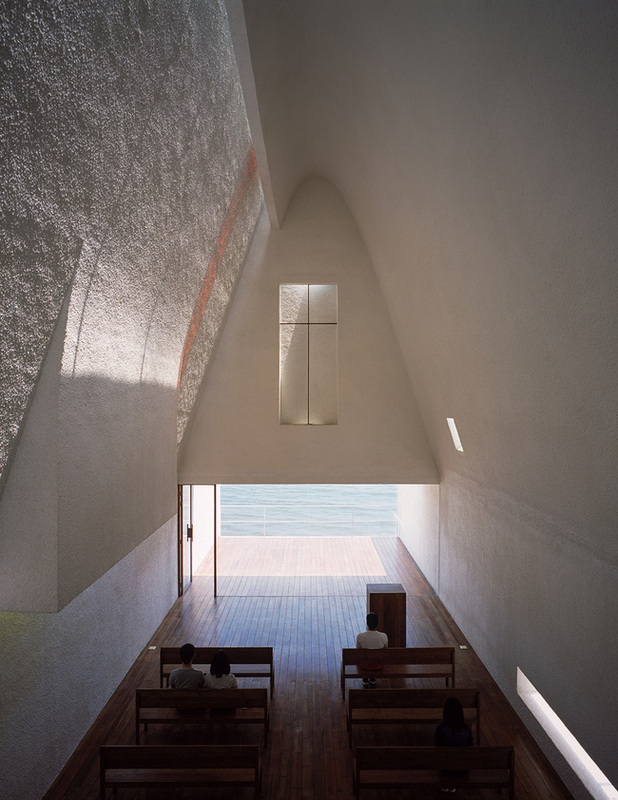 Seashore Chapel will be used for a variety of community events, as well as religious ceremonies. Also you should check another great chapel.